Shortly after the match, a video of the goal became a minor internet sensation. 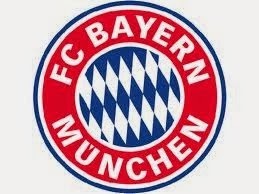 On 27 February 1900, eleven football players in Munich split from their previously-existing sports club to form FC Bayern Munich. The new club would go on to become one of the world's most successful clubs, winning a record 24 league titles, a record 17 German Cup trophies, and eight European trophies. Those eleven players were members of Münchner TurnVerein 1879, which focused primarily on gymnastics. When a majority of the club decided not to allow their footballing contingent to join the German Football Association, the eleven left the club and started their own, selecting Franz John to be the new club's first president. Bayern enjoyed early regional successes, then won their first national title in 1932 under coach Richard Kohn. Kohn, who was Jewish, left the club in 1933 to escape the Third Reich, and Bayern went into a fallow period that lasted throughout the war years. By the mid-1960s, however, they had started a resurgence behind players such as Franz Beckenbauer, Gerd Müller, and Sepp Maier. They dominated the Budesliga from the '70s onward, winning 20 of their 24 league titles and 10 of their 17 German Cup trophies between 1971 and 2008. They also established their European credentials with three consecutive European Cup trophies from 1974 to 1976, then winning it again in 2001 and 2013. 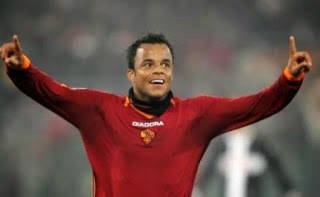 On 26 February 2006, AS Roma set an Italian record by winning their eleventh consecutive league match. Even better for the Giallorossi, they set the record against bitter derby rivals Lazio at the clubs' shared stadium, the Stadio Olimpico. The streak started on 21 December 2005 with a 4-0 home win over Chievo. Roma were sitting eighth in the Serie A table at the time, but had risen to fourth by the time they faced Lazio in the Derby della Capitale. For their part, Lazio were hopeful of ending Roma's winning run, having earned a 1-1 draw against their rivals earlier in the season. They drew further optimism from the fact that Roma captain and talisman Francesco Totti, who had scored eight goals in the run's previous ten matches, was unable to play due to injury. As it turned out, however, Roma didn't need him. With Totti watching from the stands, Brazilian winger Amantino Mancini (pictured) provided the creative spark, first delivering a corner that his fellow Brazilian, midfielder Rodrigo Taddei, tapped into the net to put the visitors ahead in the 31st minute. In the second half, Mancini danced the ball into the Lazio box before laying it off for midfielder Alberto Aquilani to slot home in the 63rd minute. The home side were unable to penetrate the Roma defense, which held on for their eighth clean sheet of the streak. The victory broke the previous Italian record of ten consecutive wins, set by Juventus in the 1931-32 season, then matched once by Bologna (1963-64) and twice by Milan (1950-51, 1989-90). Roma's record would not last as long, however, as Inter smashed it the next season, winning 17 straight. Coincidentally, Inter were the ones to end Roma's winning streak at 11 with a 1-1 draw on 5 March 2006. On 25 February 2001, Liverpool and Birmingham fought a closely-contested League Cup Final, with the Reds getting the win on penalty kicks - the first penalty shootout in the final of a major English tournament. Playing before a crowd of 73,500 at Cardiff's Millenium Stadium, Liverpool took the lead with a 30th-minute strike from their homegrown hero, forward Robbie Fowler, who deftly beat the Birmingham keeper with a world class shot from 25 yards out. Although Birmingham had plenty of possession throughout the match, they were unable to find the mark, with their best chances coming through a couple of headers that just went wide of the goal. The trophy appeared to be Liverpool's when Birmingham received a lifeline courtesy of Liverpool center back Stéphane Henchoz, who, in the dying moments of regulation, fouled Birmingham midfielder Martin O'Connor in the box. Center back Darren Purse converted the 90th-minute penalty kick, sending the match into extra time. The sides swapped chances in extra time, but were unable to score. In penalties, they were even at 4-4 after five shooters, with Liverpool's Sander Westerveld and Birmingham's Ian Bennett saving one shot each. Jamie Carragher then put Liverpool ahead 5-4, when Birmingham forward Andy Johnson stepped up to the spot. He sent a timid kick to his right, easily saved by Westerveld to give Liverpool the win - their first major trophy since previously winning the League Cup in 1995. On 24 February 1993, 51-year old England and West Ham United legend Bobby Moore died from bowel cancer. Moore began his professional career in 1958 with West Ham, where he would stay for just over 15 seasons. Despite having fairly average physical talents, he was gifted with an uncanny ability to read the game and anticipate where the ball was going. That, combined with his impeccable timing, made him one of England's top defenders. He earned his first cap for England at 21, and at 22, became the youngest person to captain the English senior side. He got his first silverware in 1964, when he led the Hammers to the FA Cup trophy, also earning personal accolades as the Football Writers' Association Footballer of the Year. He followed by helping West Ham to the 1965 UEFA Cup Winners' Cup with a 2-0 win over 1860 Munich. 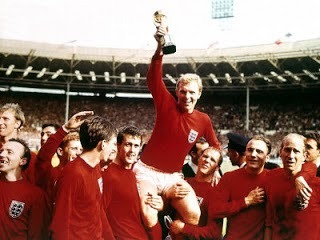 But he is best remembered for captaining England to the World Cup title in 1966, where Moore set up two of England's goals in the 4-2 win over West Germany in the Final. He would go on to make 108 appearances for England, making him England's most-capped player at the time, though Peter Shilton (125) and David Beckham (currently at 115) would later go on to surpass Moore's total. Moore left West Ham in 1974 for London rivals Fulham, then in the Second Division. In his first season with Fulham, they met West Ham twice, beating them in the League Cup, but losing to the Hammers in the 1975 FA Cup Final. He also spent some time in the US during the English off-season, playing for the San Antonio Thunder and Seattle Sounders before retiring in 1978. Afterward, Moore spent a brief period in management before moving on to work as a commentator. He made his last public appearance in the commentators' booth for England's match against San Marino on 17 February 1993, one week before his death. Labels: 1966 World Cup, Bobby Moore, England, Fulham FC, San Antonio Thunder, Seattle Sounders, TSV 1860 Munich, West Ham United F.C. On 23 February 2002, visitors Beira Mar defeated hosts Porto 2-3 in a Portuguese top flight league match. It was Porto's first home loss under new manager José Mourinho, who had taken charge the previous month. It would also be Mourinho's last home loss in a league match until 2011, a run of 150 matches that extended from his time at Porto through his tenure at Chelsea, Inter, and Real Madrid. While generally regarded as a footnote to Mourinho's record, the match itself was an exciting one. Porto played a man down for most of it, as defender Jorge Andrade was red carded in the 25th minute for a challenge on Beira Mar midfielder Bruno Ribeiro on the edge of the box. Cristiano Rocho scored with the ensuing free kick to put the visitors ahead 1-0. But despite being down to 10 men, Porto equalized with a 42nd-minute goal from striker Benni McCarthy. Beira Mar striker Fary Faye, who had come on a substitute at the start of the second half, restored the lead for his side in the 51st minute. The situation then got worse for Porto, as midfielder Deco received a second yellow card and was sent off in the 74th minute, reducing the hosts to nine men. Amazingly, however, Mourinho's undermanned Porto again equalized, this time with a 82nd minute goal from midfielder Carlos Paredes. But in the dying moments, Beira Mar overran Porto's depleted midfield, allowing Fary to score his second goal of the match in the 85th minute to give his side the 2-3 win. 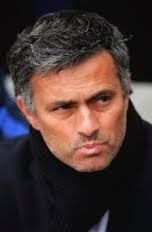 Mourinho remained with Porto through the 2003-04 season, before moving to Chelsea in June 2004. After leaving Chelsea in September 2007, he took some time off before moving to Inter in June 2008. His unbeaten run includes 66 matches at Chelsea, setting a Premier League record that the club extended to 86 under Mourinho's successors Avram Grant (2007-08) and Luiz Felipe Scolari (2008-09). Porto's streak, meanwhile, ended eleven matches into the 2004-05 season with a 1-0 loss to Boavista on 20 November. It was their sixth home match under new manager Victor Fernández. The streak ended on 2 April 2011, when Real Madrid team lost at home to Sporting de Gijón. After further spells with Newcastle United (1997-98) and Celtic (1999-2000), he returned to Anfield in 2009 as club ambassador. He was a popular candidate to replace Rafa Benitez in June 2010, but the job went instead to Roy Hodgson. Hodgson lasted barely half a season, though, and Dalglish returned as manager in January 2011. He was later replaced by Brendan Rodgers in 2012. 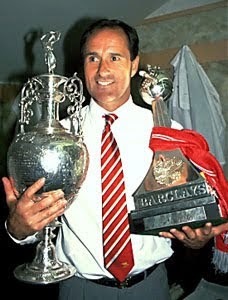 On 21 February 1995, Arsenal sacked manager George Graham after learning that he had accepted illegal payments from an agent in return for signing two of the agent's players. Graham, a Scottish midfielder and forward, had spent the majority of his playing career at Arsenal, making 226 appearances from 1966 to 1973. He returned to Highbury as manager in 1986, after first establishing his managerial credentials at Millwall (1982-86). In his first season in charge, the Gunners finished fourth and won the League Cup, their first silverware since winning the FA Cup in 1979. After that first season, he continued his successful run by winning two league titles (1989, 1991), the FA Cup (1993), another League Cup (1993), and the UEFA Cup Winners' Cup (1994). In early 1995, however, it was revealed that Graham had accepted £425,000 from agent Rune Hauge in exchange for signing two of Hauge's clients in the early 90s, Norwegian full back Pål Lyderson and Danish midfielder John Jensen. The resulting scandal led to his sacking on 21 February and a 1-year ban issued by the Football Association. After the ban expired, Graham returned to football as manager of Leeds United in September 1996. He remained there for two seasons before moving to Arsenal rivals Tottenham Hotspur, where he stayed until his retirement in 2001. On 20 February 1897, Ireland made history by becoming the first national team in modern history to compete under the guidance of an official coach, as Billy Crone (right) took charge for their opening match against England in that year's British Home Championship. Unfortunately for the Irish, it didn't help, and England defeated them 6-0. Prior to Crone's appointment, national team players were selected by their respective football associations, then coached by the team captain. Before overseeing the national team, Crone - himself a former Irish international with 12 caps - had established himself as the manager of his hometown club, Belfast's Distillery FC, where he played his club ball until his retirement as a player in 1893. He remained the manager of Distillery (now known as Lisburn Distillery) during and after his time in charge of Ireland, leading them to five Irish League titles between 1895 and 1906. For the remainder of the tournament, Ireland won their next match against Wales, 4-3, but lost their final match against Scotland, 5-1, to finish third out of the four teams. In hiring Crone, Ireland were well ahead of their competition. For comparison, England hired their first manager in 1946, while Wales and Scotland hired their first managers in 1954. On 19 February 2006, the Football Association of Ireland relegated Shelbourne FC to the second tier, despite the club having just won the 2006 Premier League title. Established in 1895, the Dublin club is one of Ireland's most successful teams, with thirteen league titles (only Shamrock Rovers have more, with 15). Under manager Pat Fenlon, Shels dominated the League of Ireland in the 2000s, winning the title in 2000, 2002, 2003, and 2004 before winning their thirteenth title overall in 2006 by edging second-place finishers Derry City on goal differential. Their success, however, was not cheap. Shels had spent freely in the preceding seasons, bringing in several expensive transfers. By the 2006 season, the spending had begun to catch up to them and the club's finances began to show signs of strain and, by the end of the season, Shelbourne owed wages to seventeen players. The financial distress sparked an exodus of several players as well as Fenlon, who took over at Derry City. The FAI investigated Shelbourne's financial state and, as a consequence, decided to drop the club out of the Premier Division and into the second-tier First Division. Shelbourne returned to the top flight in in 2012, but finished the 2013 season in last place and dropped back down to the First Division. On 18 February 2004, Israel beat Azerbaijan 6-0 in a friendly played at Tel Aviv's Ramat Gan Stadium. It was a memorable match for Israeli forward Shlomi Arbeitman, making his international debut. Arbeitman (right) scored a hat-trick, which set two Israeli national team records: he was the first national team player to score three goals on his debut and, at the age of 18 years, 270 days, he was the youngest person to score a hat-trick for the national team. Unfortunately, they would prove to be Arbeitman's only international goals, as he was unable to replicate his success against Azerbaijan in his four other national team appearances. He currently plays for Israeli Premier League side Hapoel Be'er Sheva, having signed with them in 2014. 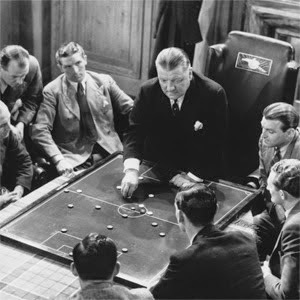 On 17 February 1940, The Arsenal Stadium Mystery opened in theaters across Britain. Directed by influential English filmmaker Thorold Dickinson, the movie was one of the first to include football in a prominent role. The story follows Inspector Anthony Slade (played by Leslie Banks) as he attempts to solve the murder of a football player who died from poisoning while his amateur side, the fictitious Trojans, were playing a friendly against Arsenal at Highbury. The movie was actually filmed at Highbury, with several Arsenal players, including forward Cliff Bastin and full back Eddie Hapgood, playing parts. But of all the Gunners players and staff to appear in the film, only manager George Allison (pictured) had a speaking role. To film scenes of the match between Arsenal and the Trojans, Dickinson shot footage of an actual league match between the Gunners and Brentford, played on 6 May 1939. In order to double as the Trojans, the Brentford players wore a special striped kit for the occasion. The actual match ended as a 2-0 win for Arsenal. 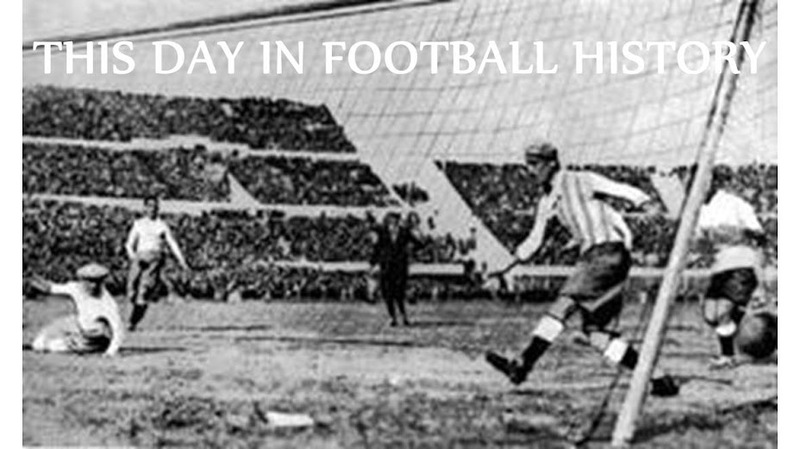 It was the last match for either side before the league suspended football for the duration of World War Two. On 16 February 1931, the American Soccer League's Fall River Marksmen merged with the New York Soccer Club to form a new team--the New York Yankees. The Marksmen were one of the ASL's most successful clubs, with seven league titles and three National Challenge Cup trophies from 1922 through 1930. But by the time they won their last league title in 1930 (despite playing only 27 of 30 matches), the Great Depression had lowered attendances across the league. In an effort to revive the team's flagging revenues, owner Sam Mark moved them from Fall River, Massachusetts to New York. The team competed in the Spring 1931 league season as the New York Yankees, but had already registered for that year's National Challenge Cup under their former name. Accordingly, they participated in the two different competitions under two different names. 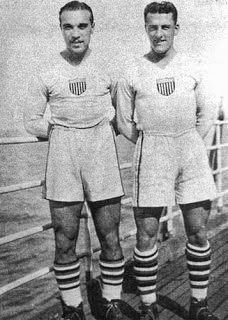 As the Yankees, they finished third in the league, but as the Marksmen, they won the Cup, defeating the Chicago Bricklayers in a three-leg Final, behind strong play from their US internationals, Billy Gonsalves (above left) and Bert Patenaude (above right). After splitting the first two matches of the Final, the Marksmen won the third leg 2-0. It was the last match the team ever played under either name, as the owner moved the team back to Massachusetts as the New Bedford Whalers. 15 February 1913 - Black And Tans On The House! 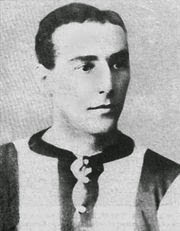 On 15 February 1913, Irish debutant Billy Gillespie (pictured) scored his first two international goals, giving his side a 2-1 victory over England in the 1913 British Home Championship. The win was Ireland's first ever over England in 32 matches. The match was played at Windsor Park in Belfast before a crowd of 20,000. It was England's first contest in that year's tournament, while Ireland had already played one match, a 0-1 loss to Wales on 18 January. England gained the early advantage with a 35th-minute strike from winger Charlie Buchan, but Gillespie brought the hosts level in the 43rd minute, then put them ahead for good seventeen minutes later. Unfortunately for Ireland, it was their only win of the tournament and they finished in last place after a 1-2 loss to Scotland. England rallied to win their last two matches, 4-3 over Wales and 1-0 over Scotland, to finish in first place. Ireland and Gillespie would gain some revenge the following season, however, beating England 3-0 on their way to the BHC title, the first outright title won by Ireland. Gillespie, an inside forward who played his club ball for Sheffield United, would go on to become Ireland's most-capped player with 25 appearances and score a total of thirteen goals--a record that would not be tied until 1992 (by Colin Clarke) and not broken until 2004 (by David Healy). On 14 February 2004, Tunisia gave their home supporters a deserved gift by winning the country's first African Cup of Nations trophy, beating Morocco 2-1 at Tunisia's largest stadium, Stade 7 Novembre in the city of Radès. The 2004 tournament was Tunisia's third as hosts; in 1965, the Eagles of Carthage had finished as runners-up to Ghana, while in 1994, they were eliminated in the group stage. They started the 2004 edition in strong fashion, winning their group ahead of Guinea, Rwanda, and the Democratic Republic of the Congo. The highlight of the group stage was Tunisia's 3-0 win over the Congo DR--the only match in the tournament Tunisia won by more than a single goal. In the knockout rounds, they slipped past Senegal in the quarterfinals, 1-0, before going to penalty kicks against Nigeria in the semis. Drawn at 1-1 at the end of extra time thanks to offsetting penalty kicks, each of Tunisia's five kickers converted their chances in the shootout, while Nigerian striker Osaze Odemwingie missed his. In the Final against Morocco, Tunisia jumped ahead quickly with a 5th-minute goal from striker Francileudo dos Santos (pictured). Morocco got a 38th-minute equalizer from midfielder Youssef Mokhtari, before striker Ziad Jaziri netted the matchwinner in the 52nd minute. Dos Santos' goal was his fourth of the tournament, tying him with four others for golden boot honors. 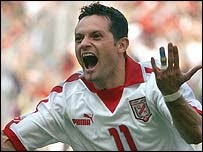 He his currently Tunisia's top scorer, with 22 goals in 40 appearances. Tunisia has not yet been able to replicate their 2004 success, advancing no farther than the quarterfinals in the last three tournaments. On 13 February 1999, Nigerian forward Kanu made a memorable—and controversial—debut for Arsenal, who had just signed the 22-year old from Inter earlier that month. The Gunners were hosting Sheffield United in the 5th round of the FA Cup and had taken a 1-0 lead thanks to a 28th-minute goal from midfielder Patrick Vieira. Sheffield United equalized shortly after the break with a 48th-minute header from Brazilian forward Marcelo, so the score was even at 1-1 when Kanu (above at far left) came on in the 66th minute. With about 10 minutes left in the match, a United player went down with an injury just as Dennis Bergkamp was chasing down a ball played back to the United keeper. The keeper kicked the ball into touch and the official halted play briefly while the injured player received treatment. When Arsenal's Ray Parlour took the ensuing throw, most of the players on the pitch expected him to give possession back to United. 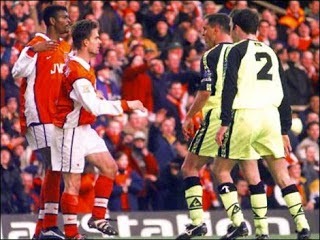 Nobody told Kanu, however, who received the throw and raced down the field and crossed the ball for his teammate, winger Marc Overmars (above, second from left), to slot home. United's players and staff protested, but the goal stood and Arsenal emerged 2-1 winners. After the match, Arsenal boss Arsène Wenger agreed that the final goal had been scored unfairly and proposed that the match be replayed. After some initial hesitation, the FA relented and the replay was held ten days later at Highbury, where Arsenal again won 2-1. When former Gunner Thierry Henry later scored a controversial goal for France to eliminate the Republic of Ireland from 2010 World Cup qualification, Wenger urged his home country to offer a replay, but the FFF declined. On 12 February 2006, just before the start of the second half of an Old Firm match at Ibrox, Celtic goalkeeper Artur Boruc sparked controversy by directing three gestures toward the Rangers supporters--gestures described by Scotland's Sunday Herald as "a V sign, another obscene gesture, and a blessing." While generally considered innocuous, the blessing--which consisted of Boruc making the sign of the cross on himself--took on added significance due to the sectarian history of the Old Firm rivalry, with a line separating traditionally Protestant Rangers from traditionally Catholic Celtic. The Rangers supporters thus interpreted Boruc's gesture as a nod to that religious divide, claiming also that he was laughing at them and provoking them with other gestures as well. For his part, Boruc, a devout Catholic, denied any ill intent, claiming that the blessing was simply a personal gesture in honor of his faith. Whatever the motivation, Boruc caused enough commotion in the crowd to require intervention from police and stadium security, who took 10 minutes to restore order. Contrary to rumors following the incident, the keeper was not charged with any criminal act for making the sign of the cross, though the government did caution him against any future actions that could be deemed provacative. They made clear, however, that the caution was for the overall nature of his actions, not the blessing itself. Celtic went on to win the match 1-0 on their way to their 40th League title. Labels: Artur Boruc, Celtic F.C., Rangers F.C. On 11 February 2009, the United States defeated Mexico at Crew Stadium in Columbus Ohio. It was the Yanks' third straight 2-0 win in Columbus over their North American rivals, prompting cheers of "dos a cero" among the American supporters in the crowd of 23,776. It was the opening match for CONCACAF's fourth and final 2010 World Cup qualifying round, also known as "the hexagonal," which includes the three group winners and runners-up from the previous round. The United States easily won their third-round group, while Mexico squeaked into the fourth round as their group runner-up, tied on points but with a better goal differential than group third-place finisher Jamaica. After some tentative play by both sides, the United States took a late first-half lead when Mexico keeper Oswaldo Sánchez parried a header into the path of US midfielder Michael Bradley, who tucked it away from 6 yards out. Play heated up in the second half, with Mexican captain Rafael Márquez getting sent off in the 65th minute for a high kick on American keeper Tim Howard. With El Tri down to 10 men and struggling, the US dominated the remainder of the match. They eventually capped their victory with another goal from Bradley, who, in the second minute of stoppage time, fired a 28-yard shot under the arms of Sánchez to complete his brace. The loss helped seal the fate of Mexico coach Sven-Göran Eriksson, who was sacked in April 2009 after less than a year in charge. Under new coach Javier Aguirre, Mexico successfully qualified for the World Cup in second place of the CONCACAF table, one point behind the US. On 10 February 1957, Egypt won the inaugural match of the Africa Cup of Nations, beating Sudan by the score of 1-2 at Sudan's Khartoum Stadium. The win put the visiting Egyptian side right into the Final, as only four teams had been invited to participate and one was disqualified before ever playing a match. The Cup of Nations was organized by the fledgling Confederation of African Football, itself formally established just earlier that month. At that time, the CAF had only four members--Egypt, Ethiopia, South Africa, and Sudan--and expected that all four would participate in the Cup. The South Africans, however, still under a policy of apartheid, refused to send a mixed-race side to the tournament and were disqualified as a result. South Africa's expulsion meant that their scheduled opponents, Ethiopia, received a bye in the semifinals and automatically qualified for the Final. In the one semifinal match that was played, Egypt took an early lead with a 21st-minute penalty kick from center forward Raafat Ateya. Sudan equalized shortly after the break with a goal from Siddiq Manzul in the 58th minute before Egypt's Mohamed Diab El-Attar ("Al-Diba") put his side ahead for good in the 72nd minute. The Final was never in doubt, as Egypt rolled to a 4-0 win. All four goals came from Al-Diba, making him the tournament's highest scorer. The tournament is played every two years and has since expanded to 16 teams, who are determined by qualification rounds involving all 54 CAF members. 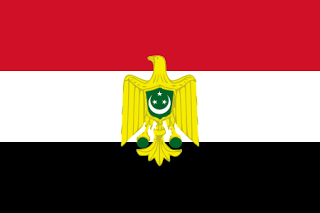 Egypt has remained the most successful nation, with seven titles in nine Final appearances, including an unprecedented three consecutive titles in 2006, 2008, and 2010. 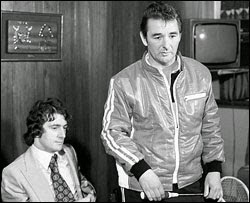 On 9 February 1979, Nottingham Forest manager Brian Clough introduced the press to his newest signing, English striker Trevor Francis--the first player in England to break the £1 million transfer fee barrier. Clough added to the spectacle by showing up at the press conference in a bright red leather jacket with his squash racket in hand. When Clough signed Francis from Birmingham City, he was careful to set the transfer fee at £999,999 in order to prevent the "million pound" mark from going to the striker's head. But taxes pushed the total fee over £1.1 million, more than doubling the previous record of £495,000, paid by Manchester United to Middlesbrough for defender Gordon McQueen in February 1978. With Francis in the side, Forest lost only one league match for the remainder of the season, finishing second in the Division One table, and won the League Cup. The crown jewel in their season, however, was their 1-0 win over over Swedish side Malmö in the 1979 European Cup Final, with Francis heading in the winning goal. That proved to be the highlight of Francis' career. Injuries hampered his time at Forest, preventing him from playing in their win in the 1980 European Cup Final, and he moved to Manchester City in 1981 for £1.2 million. 8 February 2000 - Best. Headline. Ever. On 8 February 2000, second-tier Scottish club Inverness Caledonian Thistle upset hosts Celtic in the Third Round of the Scottish Cup by the score of 1-3, giving rise to one of the most famous headlines in football. Celtic were under a lot of pressure to win, having just suffered a home loss to Hearts and trailing Premier League leaders Rangers by 10 points. And they had been knocked out of the UEFA Cup three months earlier by Lyon, failing to score a goal in either leg, so the Scottish Cup looked to be their last chance to take home a major trophy. Underdogs Caley were unwilling to concede, however, and took an early lead with a 16th-minute header from midfielder Barry Wilson. Celtic equalized two minutes later thanks to striker Mark Burchill, but handed the lead back to Caley with an own goal from back Ľubomír Moravčík in the 24th minute. The visitors extended their lead in the 57th minute with a penalty kick and Celtic failed to mount a further challenge. The loss proved decisive for Celtic manager John Barnes, then in his first season at Celtic Park. It was to be his only season, as he was sacked shortly after the loss and replaced by Kenny Dalglish. 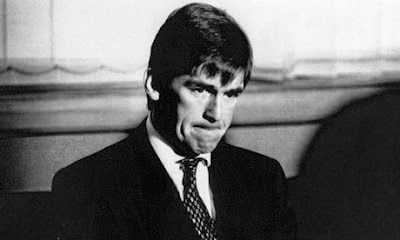 Dalglish would provide the club with some consolation, leading Celtic to that season's Scottish League Cup trophy, but it was not enough for him to keep the post and he was replaced by Martin O'Neill. 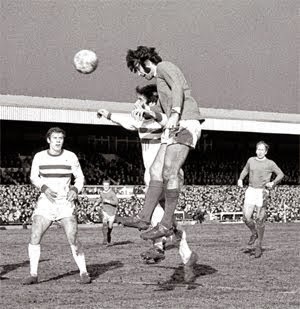 On 7 February 1970, Manchester United winger George Best put on a clinic, scoring an FA Cup record six goals in United's Fifth Round match-up against fourth-division Northampton Town. United won the match 8-2. Best was returning from a four-week suspension for kicking the ball out of the referee's hands earlier in the season. According to Northampton keeper Kim Book in a subsequent interview, Best's suspension meant that Northampton manager Dave Bowen had not scouted him and he was not mentioned in the team's pre-match preparations. Best, however, was both rested and eager to play, making sure that Northampton took notice. As later described by the Daily Mirror, "Best destroyed them as completely as one man can destroy others without inflicting physical damage," noting that the six goals "came from the full range of his ability. A far-post header, a near-post header. A sprint, a touch and a shot that was a classic example of his devastating finishing." But the most memorable goal was his sixth--with United already up 7-1, Best dribbled straight at Book, then sent him sprawling with a little shoulder fake before slotting the ball into the open goal. By the end of the match, even Northampton fans in the stadium were applauding Best's performance. After beating Middlesbrough 2-1 in a Sixth Round replay, United were dumped out of the competition in the semifinals by Leeds, who won 1-0 in a second replay after two scoreless matches. Labels: Dave Bowen, George Best, Kim Book, Manchester United F.C., Northampton Town F.C. On 6 February 1958, an airplane containing Manchester United's players and staff crashed in Munich, killing 23 passengers. The fatalities included eight United players and three staff members, as well as two crew members and eight journalists. United were returning home from a 3-3 draw with Red Star Belgrade in the European Cup when their plane stopped in Munich to refuel. As the flight crew prepared to take off, they were twice forced to cancel the departure due to engine trouble. Meanwhile, heavy snow caused slush to build up at the end of the runway. During the third attempt, the plane committed to take-off, reaching a speed at which it was no longer possible to stop safely. But it hit the slush at the end of the runway, which dropped the plane's speed below the level needed to get airborne. Unable to stop, the plane crashed through a fence and broke apart, with portions of the fuselage hitting a house, a tree, and a fuel shed, causing the latter to explode. Twenty passengers died instantly, while Captain James Thain and United goalkeeper Harry Gregg both helped clear survivors from the flaming wreckage--Gregg literally dragged teammates Bobby Charlton and Dennis Viollet to safety by their belts. Reporter Frank Swift died on the way to the hospital, while co-pilot Kenneth Rayment passed away after three weeks in intensive care. United's star wing half, Duncan Edwards--who had finished third in voting for 1957 European Footballer of the Year--died after two weeks in the hospital. United Manager Matt Busby's injuries were so bad that he received last rites while in the hospital, but he survived and returned the lead the team again the next season. The club came close to folding after the devastation of Munich, but Busby managed to rebuild the team and led them to the European title 10 years later. 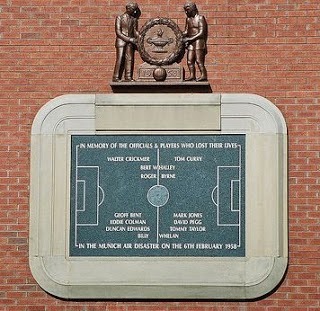 Two members of that title-winning team, Bobby Charlton and Bill Foulkes, were survivors of the Munich crash. On 5 February 1972, non-League Hereford United shocked Division One Newcastle United in the Third Round of the FA Cup, winning 2-1 in extra time. Regarded as one of the biggest upsets in the Cup, it was the first time in over 20 years that a non-League club had beaten a top flight club in the competition. The two clubs had taken dramatically different paths to their meeting. Newcastle, as all top flight clubs, entered the Cup directly in the Third Round. Hereford, meanwhile, had entered the competition in the Fourth Qualifying Round where they beat Cheltenham Town, then defeated King's Lynn (in a replay) and Northampton Town (in two replays) in the First and Second Rounds, respectively, to advance to their date with Newcastle. 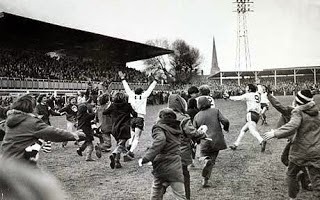 The two sides met at St. James' Park on 24 January 1972, where they drew 2-2, forcing the replay at Hereford's Edgar Street ground on 5 February. The stadium was packed to its capacity of 14,313, with onlookers climbing trees and floodlights to view the match. The muddy pitch made play difficult for both sides and they struggled to score, but Newcastle forward Malcolm Macdonald eventually found the back of the net with a header in the 82nd minute. The lead didn't last long, however, as, in the 85th minute, Hereford midfielder Ronnie Radford launched a 30-yard shot that flew into the net's top corner, causing many of the Hereford supporters to invade the pitch in celebration. In extra time, Newcastle struggled to regain their composure. Hereford midfielder Ricky George, who had come on as a substitute in the 83rd minute, took advantage and scored in the 103rd minute, sparking another pitch invasion. Newcastle were unable to rally and Hereford held on for the win. Radford's equalizer was later voted Goal of the Season. Hereford's Cup run ended in the next round at the hands of West Ham, but they took some comfort from winning their division and earning promotion to the League. On 4 February 1899, a group of 16 vocational school students in the northwestern German city of Bremen used some sports equipment they won as a prize to found the club that would later be known as Werder Bremen. The club would go on to become one of Germany's most successful and influential clubs. Originally named Fußballverein Werder, using a German word meaning "river peninsula" to reflect the riverside pitch that was their first home, the club played its first match on 10 September 1899, a 1-0 win over local rivals ASC 1898 Bremen. They acheived their first significant successes under the Third Reich, winning division titles in 1934, 1936, 1937, and 1942. 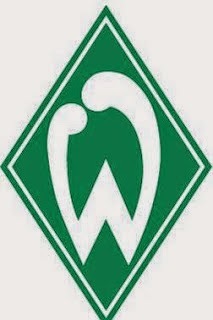 They enjoyed intermittent success in the post-war years, winning the German Cup in 1961 and the league title in 1965. After a subsequent decline, including relegation for the 1980-81 season, the club returned to glory in the late '80s and early '90s, winning the Bundesliga title in 1988 and 1993, the German Cup in 1991, and the Cup Winners' Cup in 1992. They most recently won the league in 2004 and the German Cup in 2009. In addition to their successes on the pitch, Werder has helped transform the nature of the game (for better or worse) from amateur to professional, including being the first club to charge for admission and the first to hire a professional manager.